The Washington region's February unemployment rate was 3.5%, down from 3.7% in both January and February 2018. 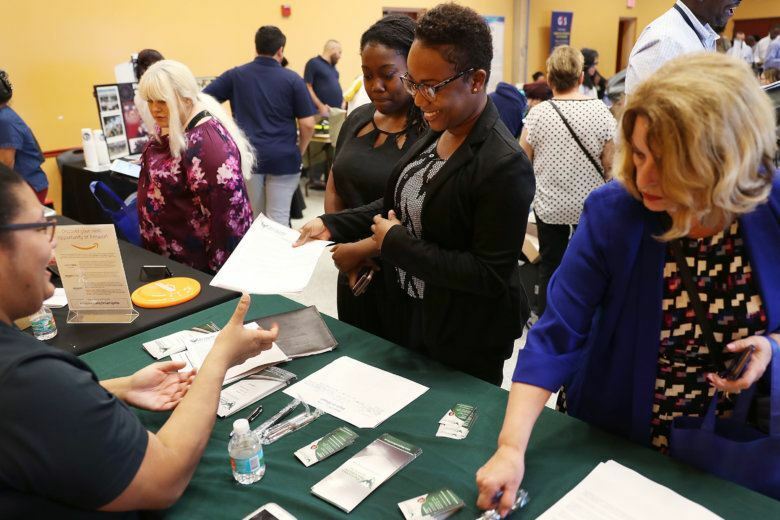 Metro-level unemployment data trails the Labor Department’s monthly national report, which Friday showed the national unemployment rate in March was unchanged at 3.8%. In Baltimore, the February unemployment rate was 4.1%, unchanged from January, but down from 4.5% a year earlier. Among metro areas with a population of 1 million or more, Nashville had the lowest February unemployment rate at 2.4%. Cleveland had the highest big city unemployment rate in February at 4.8%. Among all metro areas regardless of population, Ames, Iowa, home to Iowa State University, had the lowest unemployment rate in February, at just 1.4%.